While wearing the cool tear-out mask, you too can be one of the good guys. 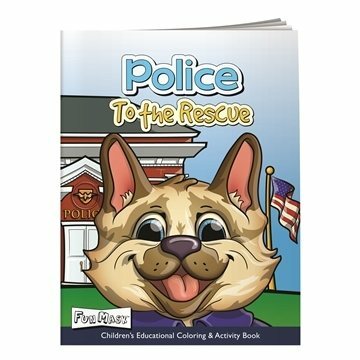 Learn about what police officers do and how hard they work to keep us all safe. Being a good citizen by making smart choices will help keep you out of trouble and on the right path to a successful future. the website is very easy to use, and the added ability to mix colors in the order was very helpful. The product was precisely what we wanted. the embroidery looks fabulous and the color of them were very true to what the website colors were. Congratulations this product is great. I will definitely order more in the future. Arrived on time! Worked great for our event Very useful and practical giveaway. It looked great. I like the weight of it.